Infor EAM Resellers are Infor partners dedicated to the sale and support of the enterprise asset management tool Infor EAM. These value-added resellers often add additional services or features to the platform based on the client’s needs. An Infor EAM reseller aims to save clients money and increase their productivity. Infor EAM allows buyers to improve capital asset management in ways that increase reliability, enhance predictive maintenance, ensure regulatory compliance, and support sustainability initiatives. Buyers in the healthcare, manufacturing, and hospitality fields can benefit from this tool. Infor EAM makes it easy for businesses to manage their assets and reduce inventory and purchasing costs. Infor EAM resellers often offer additional assistance, but in situations when they do not, buyers can turn to consulting firms for further support. AcQuum Consulting work with clients in the following industries: transport, electricity, superannuation, financial services, recruitment, government training organisations, sporting organisations, church organisations and not-for-profit. 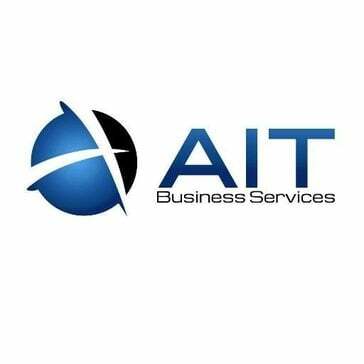 AIT Business Services specializes in Infor Syteline enterprise software sales and implementations. AService is a technology consulting company specialized in Infor products. 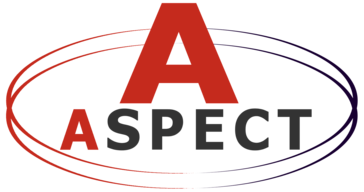 Aspect LLC is a technology consulting company specialized in Infor products. 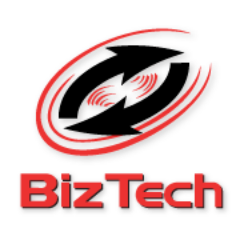 BizTech was founded to help its customers get more value from the business applications and technology needed for operational success. DataFront Solutions Inc. is a enterprise resources planning provider in the Philippines. EOH Infor Services was founded in 1995 as Baan South Africa, becoming Softworx after a management buy-out in 1999. It became a member of the EOH Group in December 2000 and in 2011 was appointed as the only Infor Gold Channel Partner in Sub-Saharan Africa. In 2014, it was appointed as Infor Master Partner, one of only a few worldwide. Most recently, as the result of a rebranding, it became EOH Infor Services in 2018. The company focuses on providing the right solutions to its customers. It delivers enterprise applications, enterprise resource planning (ERP) solutions, and drives extended best of breed solutions including; supply chain planning, extended warehouse management, asset maintenance, product life cycle management, information management (BI, data warehousing and analytics), and enterprise performance management (financial planning, forecasting, budgeting, consolidation and governance). Guide Technologies is a full service provider of Infor manufacturing and distribution solutions. Sapphire Systems is an established global provider of world-leading ERP, financial and business management software - offering solutions, services and 24hr support to over 950 customers worldwide. TLC Group offers manufacturing solutions from a specialized provider focused on improving your bottom line. Visual K is committed to the success of its customers, helping them to optimize their productivity and processes, through software that provides updated and integrated information. VK Sur Group offers consulting services and implementation of world-class business solutions for the management of manufacturing, distribution and retail industries. As an Infor Gold Partner, IBM Business Partner and Microsoft Business Partner, Watermark Solutions is focused on providing enterprise software solutions to help companies solve their toughest business challenges. West Monroe Partners (WMP) is a business and technology consulting firm specializing in Mergers & Acquisitions, Customer Experience, Technology, and Digital services for organizations in the Healthcare & Life Sciences, Financial Services, Private Equity, Energy & Utilities, Manufacture & Distribution, and Retail industries. Our team of more than 950 professionals is comprised of an uncommon blend of business consultants and deep technologists who partner with dynamic organizations to reimagine, build, and operate their businesses at peak performance. This unique combination of expertise enables us to design, develop, implement, and run strategic business and technology solutions that yield a dramatic commercial impact on our clients’ profitability and performance. For more information, visit https://www.westmonroepartners.com. Hi there! Can I help you find the best Infor EAM Resellers solutions?